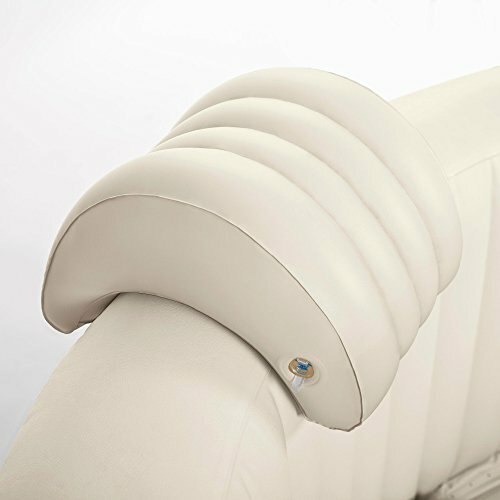 The convenient spa headrest allows you to comfortably rest your head while you relax in the soothing spa. Designed to be placed on top of the spa wall. Weighted down (when filled with water) to secure the headrest in place. Can be partially filled with air to fit your personal preference for firmness.